Modernisation of the LPP city passenger transport fleet of 280 buses from the year 2006 onwards has significantly contributed to comfortable traveling and simultaneously to an improved healthy living environment. 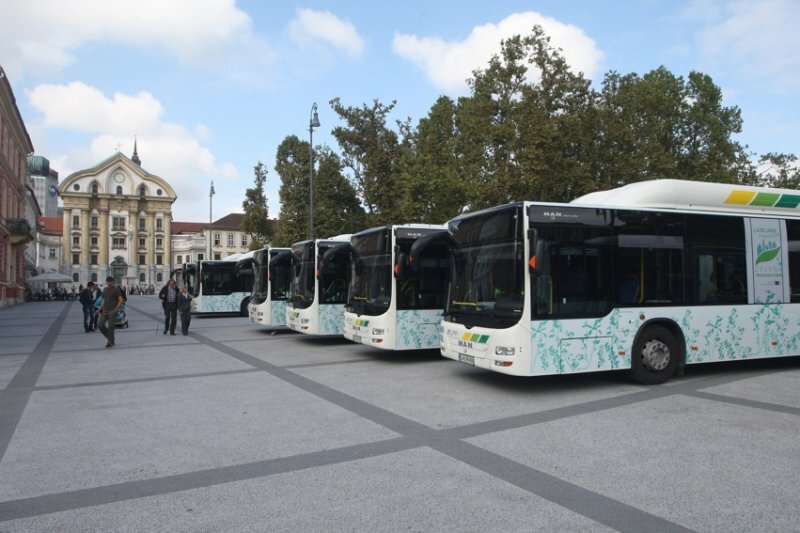 All 132 new environment friendly buses bought in recent years (till 2016), meeting the EURO 5 and EURO 6 standards, among them 68 CNG buses for a nicer and healthier environment, cleaner air and lower noise levels, will convince even the most zealous advocates of traveling by private cars in urban areas. By setting a CG filling station togehther with Energetika Ljubljana on Cesta Ljubljanske brigade 1, we also obtained ideal conditions for our CNG fleet. Did you know? That the engine of a bus using compressed natural gas (CNG) or methane meets the strictest criteria regarding emissions and the EEV standard, which means there are almost zero emissions of particles of just a few thousandths of a millimetre that harm people and the environment. Moreover, the contents of carbon monoxide (CO), nitrogen oxides (NOX) and carbohydrates (HC) are extremely low. Compared to a diesel Euro 4 engine, a CNG-propelled bus emits 80% to 90% less nitrogen oxides (NOX). Compared to the oldest buses, CNG buses emit 10% less CO2.